Workshops are a fantastic way to dive into a topic like meditation, come together with a few friends and learn a new skill like mala making or focus on yoga skills needed to stay in the game of tennis. I have planned a great schedule of workshops that are sure to appeal to you and your friends. Some workshops will have a regular time slot and others will be planned according to a mutually agreed upon schedule. Prices vary but are reasonable and class sizes will be kept small. If you are interested in a topic that I don’t have listed, contact me and we can arrange. Workshops are paid in advance so that I may collect the materials and block out that time. There are no refunds however, we can move the date if needed. Cash payments accepted per workshop. Please feel free to use this PayPal button to purchase your workshop now at the listed price below plus a $2 convenience fee. We also accept checks. Click here to view workshop dates and times. The perfect combination of healing Yoga and the amazing benefits of aromatherapy through essential oils. (minimum 5 students) 3 hours 1.5 hours of yoga 1.5 hours of essential oils $30.00/person. Incorporating essential oils into a beautiful relaxing yoga class for stress reduction. We will set up a mutual time based on interest. Mala making, yoga and meditation and healthy lunch— (minimum 3- max. 8) 4.5-hour workshop. 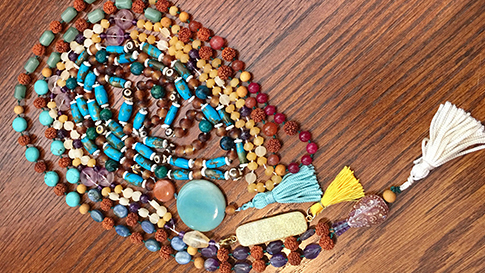 $150.00/person—an experience that includes two 45-minute yoga classes, a 10 minute meditation session, 2 hours of mala making, a yummy lunch and nutrition talk. Samples of essential oils will be available to test. Minimum 2 Maximum 6 people. Getting ready for tennis season. It is time to bond over the yoga mat and some girl time at the beading table. Yoga focus, yoga stretches and the right kind of breathing can make this your best season ever. And don’t you want to make fun tennis earrings to go with this year’s uniforms? Sign up for an available time. First come, first serve, $20 per person, includes all materials. See Calendar or Contact Me for available time slots. 2 hours minimum of 4 people $25.00/person. 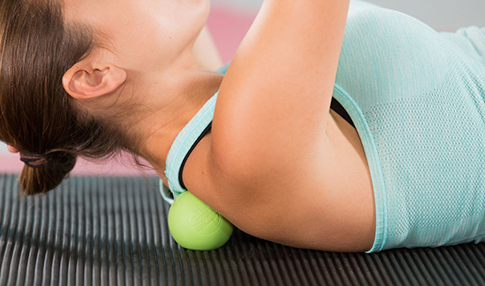 Tension that builds up in your fascia can often cause chronic pain and tightness. Using two tennis balls and a soccer sock, I will teach you a series of techniques that can help you release some of those knots and allow your chi to start flowing more freely through your body. You will keep the tennis balls and go home with a basic information sheet that allows you to do these techniques at home. Class Scheduled based on interest. (minimum 5 teachers—2 hours) $25.00/person. Short yoga practices to calm the crazy of the school year. Will include a discussion and demonstration of Brain Yoga, shown to help students focus better on classwork and essential oils that are great for classroom calming. Also, how to safely use essential oils in your classroom. Grab a group of teachers and let’s set something up. Balancing your Chakras through Yoga, Essential oils, nutrition and aromatherapy bracelet making (4 – 2 hour sessions) $160.00/person (minimum 4 students) for the entire course including the bracelet and oil sample. 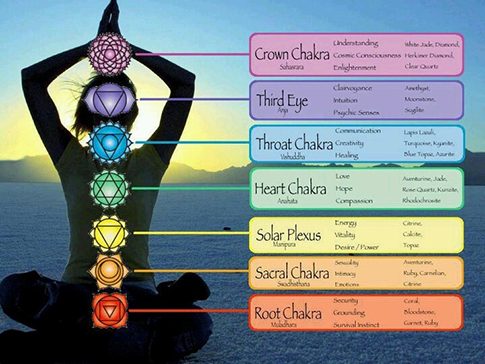 An imbalance in your Chakras (energy channels in your body can lead to a variety of physical and emotional symptoms. Each yoga class will focus on two chakras—using essential oils, poses, crystals and food. A chakra assessment will be given. The last class, as we wrap with a discussion, you will also make individual chakra balancing bracelets with your favorite chakra balancing stones. Essential oil samples will be supplied. Class scheduled based on interest, dates and times to be determined. Essential Oil Make and Take: DIY oil classes with changing themes—personal care, health and wellness, house cleaning. 2 hours minimum of 4-10 people. 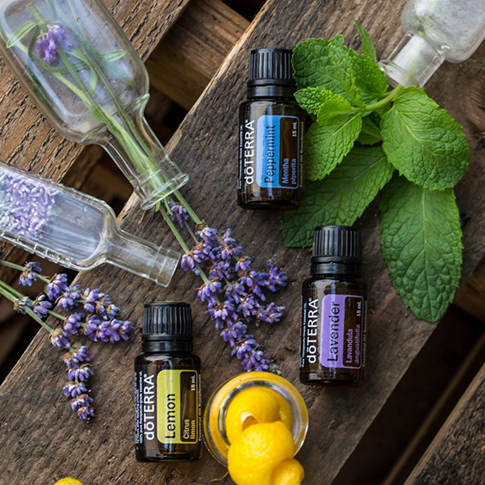 ($20.00/person) We will set up fun classes to teach you how to make your own recipes using doTERRA essential oils and common items that you can buy locally. You will go home with your make and take, lots of great resources and free samples. I can help you set up a way of ordering your own oils at a 25% discount off of retails. Reducing toxics in our skin care and environment is critical for health, particularly as we age. Our liver and kidneys can only filter so much from the environment. Reduce your exposure to toxics through these affordable, (CTPG) certified therapeutic pure grade, great smelling oils and see how it can improve your life. This is an interactive workshop where I will address, demonstrate and we will practice as many of the yoga asana and breath questions you have to in order to assist you in feeling more comfortable in your yoga practice, whether it be at home or at another studio. Most yoga classes are meant to be quiet or silent to allow each person to enter their own space. Many times, teachers move too quickly or don’t feel comfortable in assisting you in getting into your full expression of the pose. Sometimes you just power through the moves and end up injuring yourself or not getting the full benefit of the pose or practice. Just grab a small group and come learn all about Yoga. Minimum of 3 people, Maximum of 6 for this highly beneficial workshop. Check events calendar for dates and times. Costs just $25 for 90 minutes.